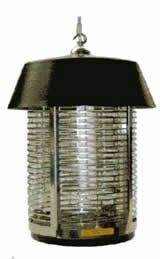 Thank you for looking through our range Electric Grid Fly Killers that are listed in price order. If you prefer to order by telephone or need any advice please give us a call on 03330 113197 UK. We supply the best and most professional fly killers to buy online for delivery throughout the UK, France, Italy, Spain, other parts of Europe and the rest of the World. How to Get Rid of Flies and Flying Insects in the home or business with a long term solution? Kill and put a stop to unwanted flies, mosquitoes, midges, wasps and all flying insect pests with our wide range of the UK and Europe's best, top quality and most effective fly killing machines for internal and external use in the home or business. Electric Fly Killers are increasingly popular for use in kitchens of the home as well as being extensively used throughout the food preparation and catering industry. Our fly zappers and fly catchers are used in restaurant kitchens, food outlets, pub kitchens, fish and chip shops, cafes and take aways, in butchers shops, fishmongers and supermarkets. They do their job to stop, kill and get rid of flies and flying insects and they also help to prevent contamination of food from disease carrying flying pest insects. Food safety is achieved with these Fly Killing Machines to comply with the Food Regulations Act as laid down by the Environmental Health Department. The difference between our Electric Grid Fly Killers and our Electric Glue Board Fly Killers is that with the grid machines flies and flying insects are zapped / electrocuted, whilst with the glue board machines flies and flying insects get stuck on the sticky pads. Our products have been chosen for being the best and most effective fly killers to suit a domestic or commercial environment. 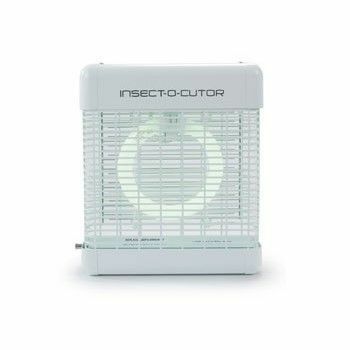 Insect-o- Cutor Plus Zap Electric Fly Killer 16 watt is a very efficient fly killer unit that can be free standing, wall mounted or ceiling suspended. Cover up to 40 square metres. 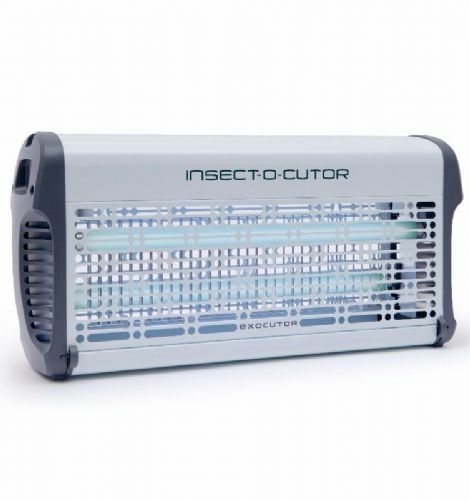 Insect-o-Cutor Plus Zap Electric Fly Killer 30 watt is a fly zapping machine that is suitable for domestic or commercial use. Covers up to 80 square metres. Insectaclear Compact Electric Fly Killer 15 watt is an ultraviolet / blue light fly zapper that attracts and kills flies and flying insects. This unit is ideal for use in a domestic kitchen or small business. Covers up to 40 square metres. Insect-o-Cutor Focus F1 Electric Fly Killer is an attractive fly killing machine. Suitable for domestic or commercial use. This fly zapper covers up to 45 square metres. 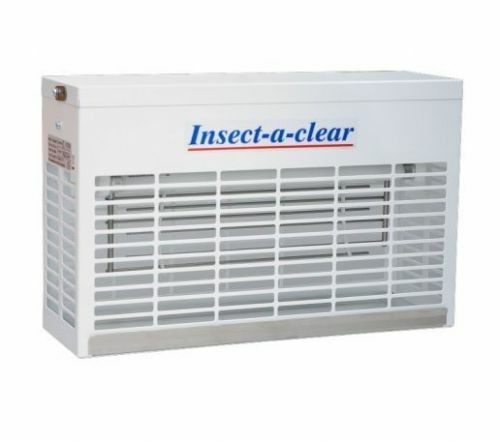 Insectaclear Compact Electric Fly Killer 22 watt is a traditional fly killing machine for use in a domestic or commercial situation. Covers up to 80 square metres. 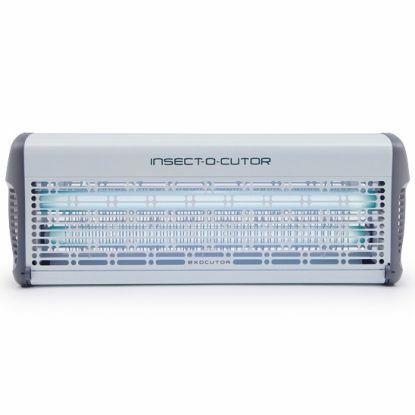 Insect-o-Cutor Focus F2 Electric Fly Killer is ideal for use in a domestic or commercial environment. Covers up to 90 square metres. Excalibur Commercial 30 Electric Fly Killer is a traditional fly killing machine for domestic or commercial use. Covers up to 80 square metres. 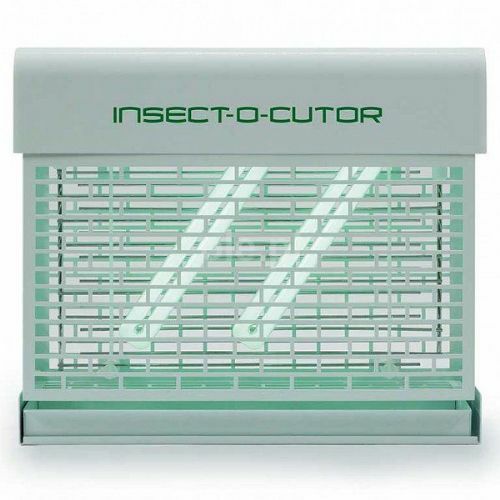 Insect-o-Cutor EX16 Electric Fly Killer is for use in catering kitchens, food preparation areas of bars or restaurants as well as for use in the home. Covers up to 50 square metres. 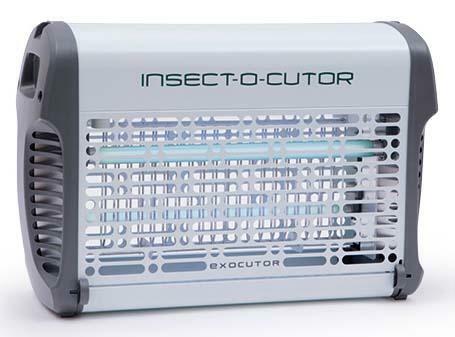 Exocutor EX30 Electric Fly Killer is for use in a commercial or domestic environment. Can be wall mounted, ceiling suspended or free standing. Covers up to 80 square metres. 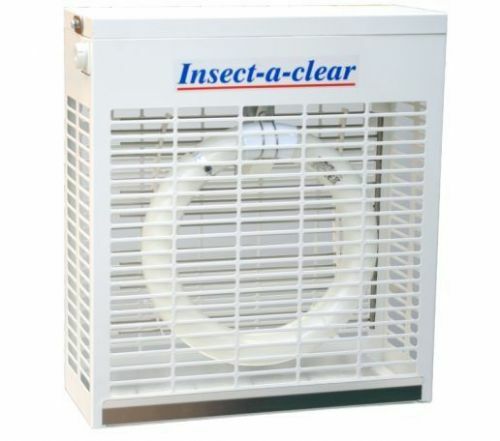 Insectaclear T35 Electric Fly Killer is a traditional fly zapping machine that can be used as a standard fly killing machine or it can be used with the Cluster Fly Catch Tray when the flying insect problem is specifically cluster flies. Covers up to 45 square metres. Cluster Fly Catch Tray for use with the Insectaclear T35 Electric Fly Killer when the flying insect problem is specifically with cluster flies. Exocutor EX40 Electric Fly Killer is made of strong white coated steel and is for use in a commercial kitchen, food preparation warehouses, restaurants or for in a domestic kitchen. Covers up to 140 square metres. Bower Professional Lantern Electric Fly Killer is widely used commercially in pub beer gardens, in marquees and at outdoor events. This fly killing machine is also for use in a domestic environment such as on the patio, near bbq areas or in the garden. Covers up to 100 square metres. 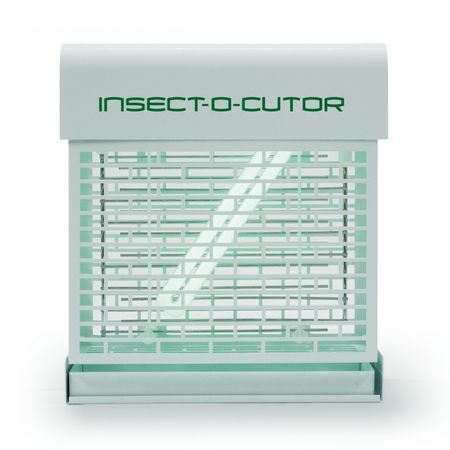 Insect-o-Cuter SE22 Electric Fly Killer uses green uv light instead of blue uv light and is idea for use in a commercial or domestic kitchen. Covers up to 100 square metres. 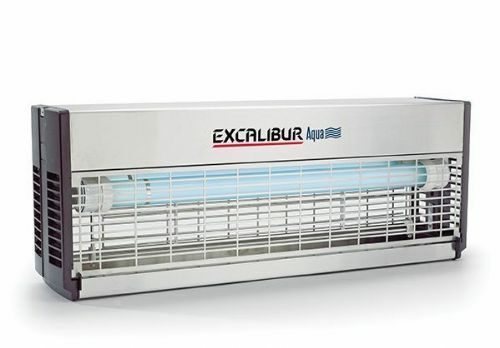 Exocutor EX 80 Electric Fly Killer is made of a white steel case and is suitable for use in larger catering kitchens, food preparation factories, breweries as well as being an attractive unit for use in a domestic kitchen. Covers up to 280 square metres. 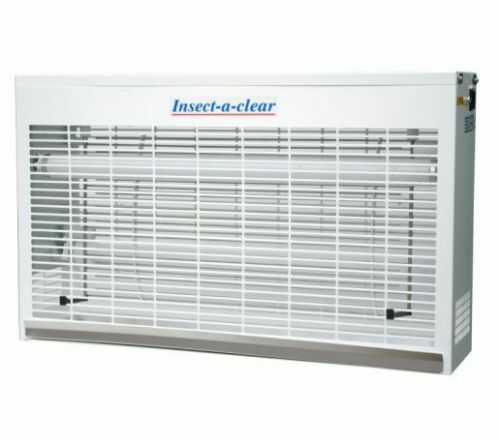 Insectaclear Compact Electric Fly Killer 80 watt is for use in industrial and commercial premises such as food packaging plants or warhouses. Covers up to 250 square metres. 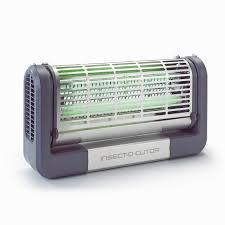 Insect-o-Cutor Allure Electric Fly Killer has an open top design to maximise fly and flying insect zapping. An attractive fly killing machine for domestic or commercial use. Covers up to 120 square metres. 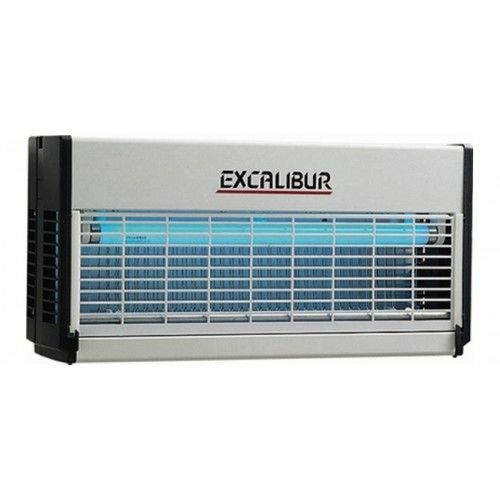 Excalibur Aqua 72 watt Electric Fly Killer is made from uv stabilised stainless steel for heavy duty use in harsh and wet conditions.